The mineral iron has many essential functions in the human body. These essential functions include the generation of energy in our cells, the formation of haemoglobin in red blood cells to transport oxygen throughout the body and muscles cells, and immune system function. Iron deficiency is one of the most common nutrient deficiencies in Australia. Iron deficiency is particularly prevalent in infants, toddlers and pre-schoolers; as well as adolescents during periods of rapid growth; and women during their reproductive years. A baby’s iron stores become depleted by around six months of age, so sufficient iron-rich foods need to be introduced to support development. Young children and adolescents often do not meet minimum dietary iron requirements due to the increased demand during periods of rapid growth. Adolescent females and young women require significantly more dietary iron than their male counterparts, whilst a pregnant woman’s daily requirement of iron are triple that of men. It is difficult for pregnant women to obtain sufficient iron through dietary sources and most require a daily iron supplement on recommendation of their doctor. 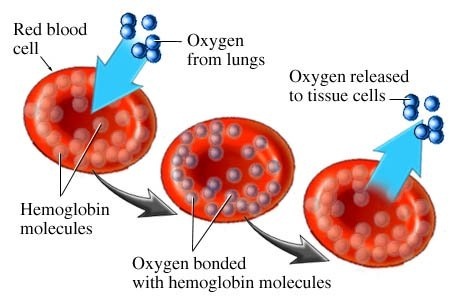 If iron deficiency is not treated adequately it may progress to the more serious condition of anaemia in which iron stores are depleted and there are insufficient healthy red blood cells for transporting oxygen. Dietary iron is present as either haem or non-haem iron, with haem-iron being 2-3 times more easily absorbed than non-haem iron. Haem iron is found only in animal products and constitutes approximately 40% of the iron in these foods. Non-haem iron is present in plant foods such as green leafy vegetables, legumes, nuts, wholegrain breads and iron-fortified products. Although non-haem iron is found in many foods, absorption of non-haem iron is influenced by other dietary components. Strategies for enhancing the absorption of non-haem iron include the use, as well as the avoidance of, certain combinations of foods. Iron supplements should only be taken on recommendation from a doctor who has performed blood tests and investigated possible causes of low iron. It takes time to recover depleted iron stores. Recovery from anaemia can take months or years using dietary iron and supplementation, depending on the severity. Always optimise dietary iron intake in combination with iron supplementation. If your iron levels are low, remember it is the combinations of the foods you consume and the frequency of your iron consumption that is most important. Eating a big steak on one occasion will not improve your iron levels.